So many of you may know the story of Eleanor of the Castle. 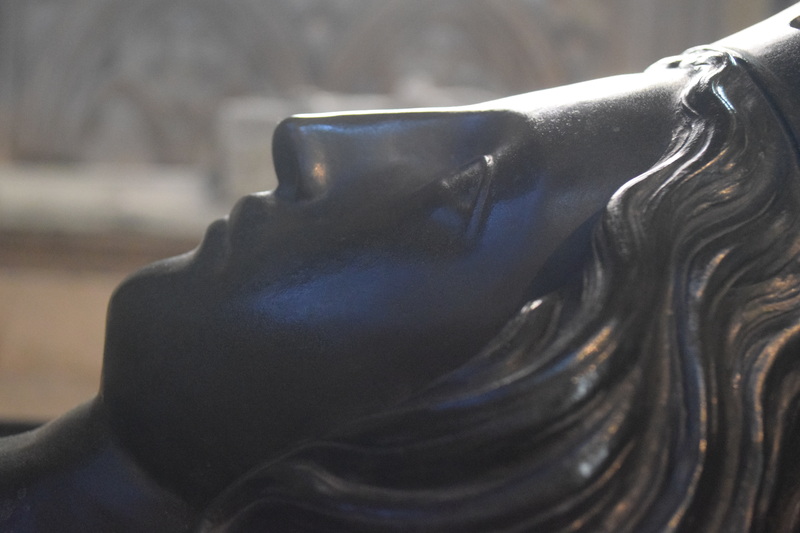 An extraordinary creature, Eleanor: a woman in her own right, with her own powers, carving her own way back there with Edward I in the middle age. Born in 1241 to Ferdinand III of Castile and Joan of Ponthieu, Eleanor was educated far beyond the norm for women in her time. She was meant to have been married off to some cove in Navarre but it became expedient to marry her to Henry III’s son Edward so Henry’s empire could continue to hold on to the Duchy of Gascony. What are the chances of a love match under those circumstances? But there’s no accounting for chemistry. And the air between Edward and Eleanor crackled, and after she became his queen she continued to enchant and beguile him. Her intelligence was renowned; she had her own publishing house, a scriptorium with scribes and an illuminator, and her name is linked to important texts including the Bird Psalter. She carved out a ‘First Lady’ role and assembled estates which passed from queen to queen. She inspired a great bishop to write a treatise on angels, and she loved gardens and planned many of the early royal ones. She was never popular. Never played men like violins as the Virgin Queen did. But her love, when given, seems to have been all-consuming. Edward hated formal ceremonies, and when the Earl of Norfolk announced a lavish wedding, Edward simply elected not to go. Eleanor went in his place, and hired minstrels to play to him in her absence. She had 16 children: after the birth of her last son records begin to show the purchase of medication for the queen. There is evidence she knew her time was short, and she put her affairs efficiently in order. It was the Summer of 1290 when Eleanor went on a progress of all her properties, and died a short way off Lincoln. Her husband was heartbroken. And many of you will know the story of how he had her body taken in state back down to Westminster for a lavish funeral: and how he had votive crosses built every now and then along the way, including, of course, Charing Cross. But what you may not know is that she left part of her behind. Clearly, a long journey from Lincoln to London meant a certain amount of preservation was in order. The Queen’s internal organs were removed, and buried in Lincoln Cathedral, where there is a monument to her to this day. A very important queen indeed, to be dead in two places. Posted in Quirks of History, UncategorizedTagged Edward, Eleanor of Castille, history, Lincoln CathedralBookmark the permalink. Almost the modern equivalent of having your ashes spread over a place – have some of your organs left in different parts of your kingdom. Interesting, Kate, though I suddenly find myself humming “I left my heart in San Francisco.”. She must have got on well with Edward to have had 16 children. After three, I feel pretty done.